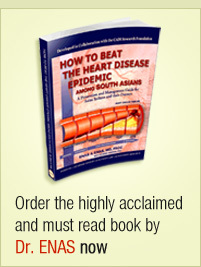 The epidemic of diabetes is projected to continue unabated. By 2030 this is projected to increase to 87 million in India, 14 million in Pakistan, 10 million in Bangladesh, 36 million in the US and 63 million in China. However there is a4-fold difference in prevalence within each country with lower rates in the rural areas and higher rates in urban areas (see Diabetes India). 1. Shaw JE, Sicree RA, Zimmet PZ. 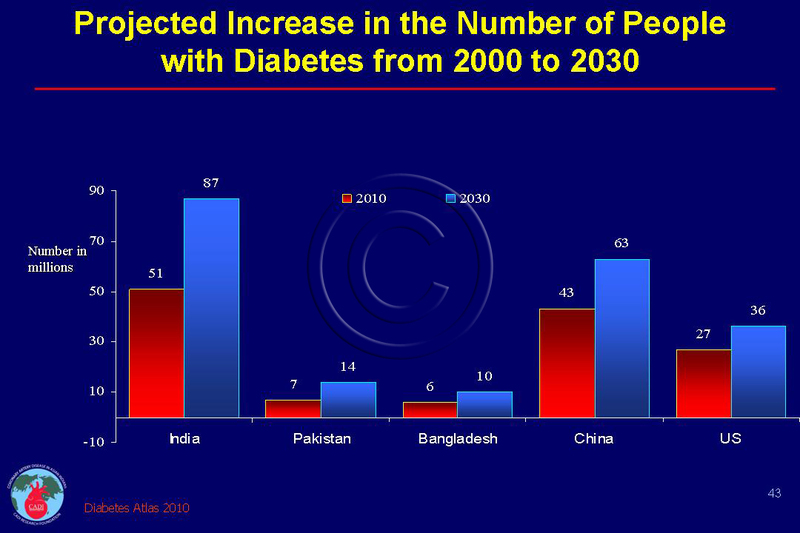 Global estimates of the prevalence of diabetes for 2010 and 2030. Diabetes Res Clin Pract. Jan 2010;87(1):4-14. 2. Wild S, Roglic G, Green A, Sicree R, King H. Global prevalence of diabetes: estimates for the year 2000 and projections for 2030. Diabetes Care. May 2004;27(5):1047-1053.